Anthony Cunningham is a unique personality in the ever-changing world of Gaelic games. Not too many people can coach football or hurling at the highest level, and switch between the two codes at the drop of a hat. Cunningham had been sounded out at the start of the selection process to replace Kevin McStay. 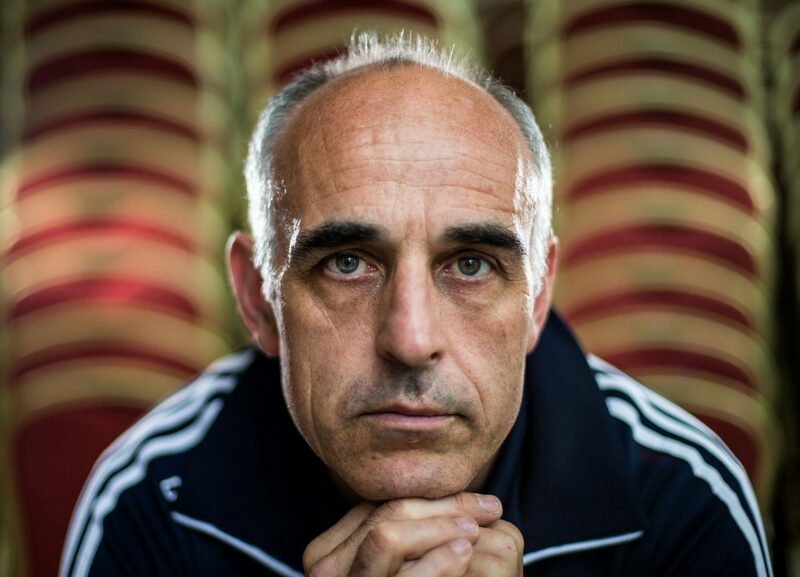 At the time, he was in the running to succeed Pat Gilroy as Dublin senior hurling manager. When Cuala boss Mattie Kenny was given that gig ten days ago, it paved the way for Roscommon and Cunningham to become properly acquainted. Not that the former Galway hurling player and manager needs an introduction to life in Roscommon. He has reared his family in Kiltoom, just as Kevin McStay did when he moved to Roscommon town. As he arrives in the Hyde Centre for a chat with the local media on Sunday last, his passion for the GAA is embedded in every word as he reflects on the road that took him to becoming McStay’s successor. “I was honoured and privileged to be asked. I have been living in Roscommon for a long time. When you love sport, the game and the GAA — the football and hurling that goes with it — it’s something you always want to do, and continue to do. “It gives me huge enjoyment, so hopefully we’ll have a great run. We want to pick up from the success of last year, and it was a success to make the Super 8s, which was down to the tremendous work by Kevin (McStay), Liam (McHale) and the players. Now we want to kick on. That’s the goal. We’ll be getting our heads down when we’re allowed back to full-time training in December,” he outlines. Cunningham is currently working on his backroom team, something he insists is a huge task in his efforts to get the people he wants from inside and outside of the county. Then it will be down to the real business of preparing Roscommon for life in Division One next year. “We’ll look at every player. I’ve followed club football in Roscommon quite closely. We want to put the best panel in place, and give everybody a fair start. “We will sit down with all players, and have all types of discussions. That’s the nature of the game. But we want guys who are committed to the panel, and committed to the cause — the Roscommon cause,” he highlights. “If you look at Roscommon over the last two or three years, we know they can score. But teams nowadays also have to be able to defend, and defend in numbers. Definitely, there are aspects that we’ll have to improve on. It’s no different in any other county,” he continues. As the conversation continues, Cunningham delves into his goals of improving the team. But he needs times, and an expectant Roscommon public will have a part to play in ensuring that their side becomes consistent at the highest level. “Obviously to get a team to play better, that’s what you’re judged on. It’s a big, big task but it’s the same for every intercounty team. We want to win. We want to play better. We want to have a better gameplan, and build on the success that has been there. “There has been huge coaching success here in Roscommon, and the standards are being raised every year by every county. Overall, the game dipped a bit last year but I’ve no doubt that 2019 will be the year for football. “But for Roscommon, it’s based on results. The one point I would make to supporters, very clearly, is that it does take time. People have to be patient. The expectations are huge but what people don’t understand is the huge amount of work that takes place on a voluntary basis by board members, the executive, Club Rossie, who put in tremendous work. These people work tirelessly for Roscommon football, for player development in the hope that Roscommon can go on and win things. So supporters sometimes have to realise that while everyone wants to win, it does take time,” he explains. Perhaps, most teams in Division One have a headstart on Roscommon in terms of preparations for next season, but Cunningham will be demanding improvement from his players at the league progresses. “Obviously you always want to stay in Division One. It’s where you get the most experience. It’s to be welcomed with open arms if you’re a Roscommon footballer that wants to get better. We want to do our best and win games in Division One, and to take as much learning experience and development of players at that level. “The players deserve their place at the top table. They had a tremendous league last year. It’s all about developing, and we want to use the league to develop players as much as we can to be ready for the championship,” he insists. While the Kiltoom resident has been noted for his hurling achievements in recent years, he doesn’t see the switch to football as being hugely problematic. “I had a good run at the football side as well. So it was probably a change for me when I went back to the hurling and now I have to go the other way again. But management, management set-ups and coaching is very similar. “We obviously have to work on a style of play and develop that but that’s what you do with your management team. I would hope that I’m well versed in that. I did a small bit with Laois a few years ago. Even in the same environment with the Dublin hurlers and Pat Gilroy last year, you do get to know the Dublin footballers beside you. Life as Galway senior hurling manager wasn’t without its headlines, but Cunningham felt that the calling to becoming the main man on the intercounty management circuit was never going to be too far away. “I would never have said that I was finished (after Galway). It would have been the opposite to be honest. It’s like a player who has a bad game or has an area of improvement to work on, he has to take that on the chin and move forward. “I had four very enjoyable years in Galway and I took great satisfaction from the fact that they went on and won an All-Ireland after that. You can do one of two things — you go home and sit in the corner or you come back and get involved in a sport that you love. “For me, I love the GAA. It’s my hobby and my passion. That hasn’t changed and we will work really, really hard at this. That’s not to say I might have a U-8 or U-10 team to coach in three years’ time. There’s no task and bigger or smaller than me,” he concludes. And with that, he’s off to take in Corofin and Clann na nGael. He won’t have learned much apart from reinforcing the challenge that faces him. But Anthony Cunningham is ready and waiting to meet this particular one head on. Anthony Cunningham hopes to “continue the good work done” by his predecessor Kevin McStay.